EcoFarm is committed to providing events, resources, and services that teach farmers all aspects of running an ecological farm business. Since its inception in 1981, EcoFarm has recognized the need for hands-on learning, interactive teaching models, and farmer-to-farmer education. The farmer-led Ecological Farmers & Ranchers Alliance (EFRA) was established to further the success of farmers and ranchers seeking a triple-bottom-line through member-led, collaborative programs. The resources that are developed and shared through EFRA include information resources; business, financial, and legal services; access to affordable inputs; equipment sharing; viable farm-gate prices; liability and health insurance; and other possibilities as EFRA continues to grow. 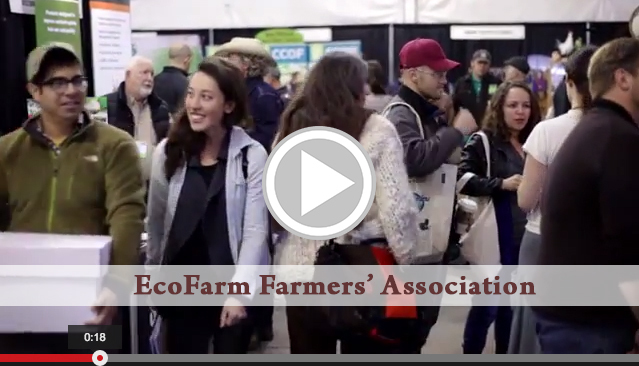 Established in 2014, EFRA membership was first comprised of farmers and ranchers awarded with an EcoFarm Fellowship. Now anyone in the ecological agriculture community can join. Interested in becoming an EFRA member?